Our product range includes a wide range of metallic expansion bellow. Our offered range of Metallic Expansion Bellow are manufactured from high grade quality material, these are tested on various quality parameter by our professional team. Experience of handling all type of critical application in all kind of industries. 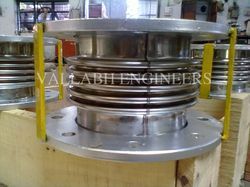 We can design and manufacture in all types of expansion bellows.